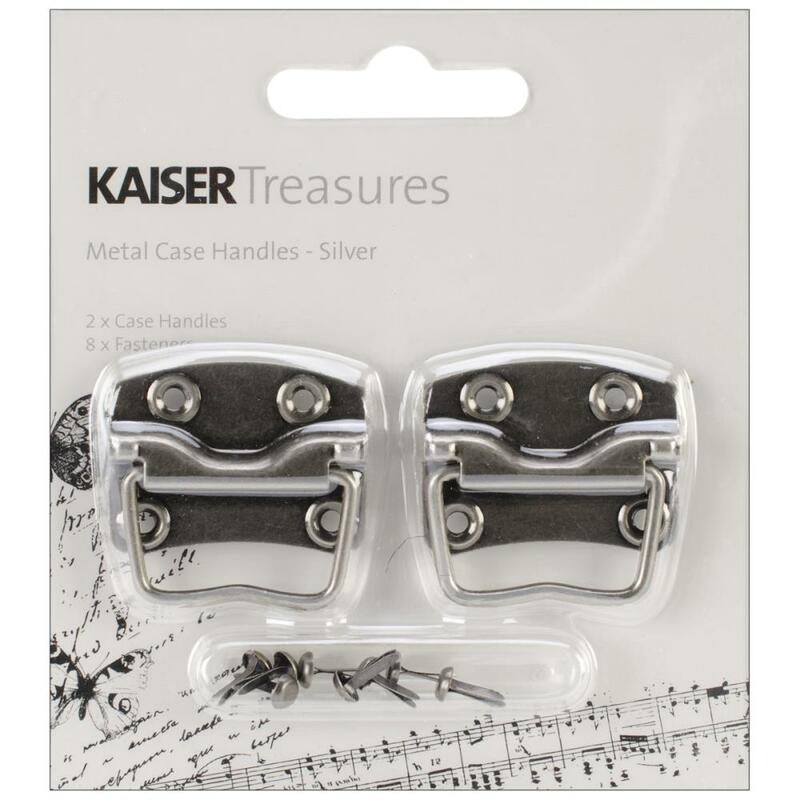 KAISERCRAFT-Treasure Metal Case Handle With Backplate. These are great additions to any craft project and work particularly well with our BTP storage solutions and home décor. 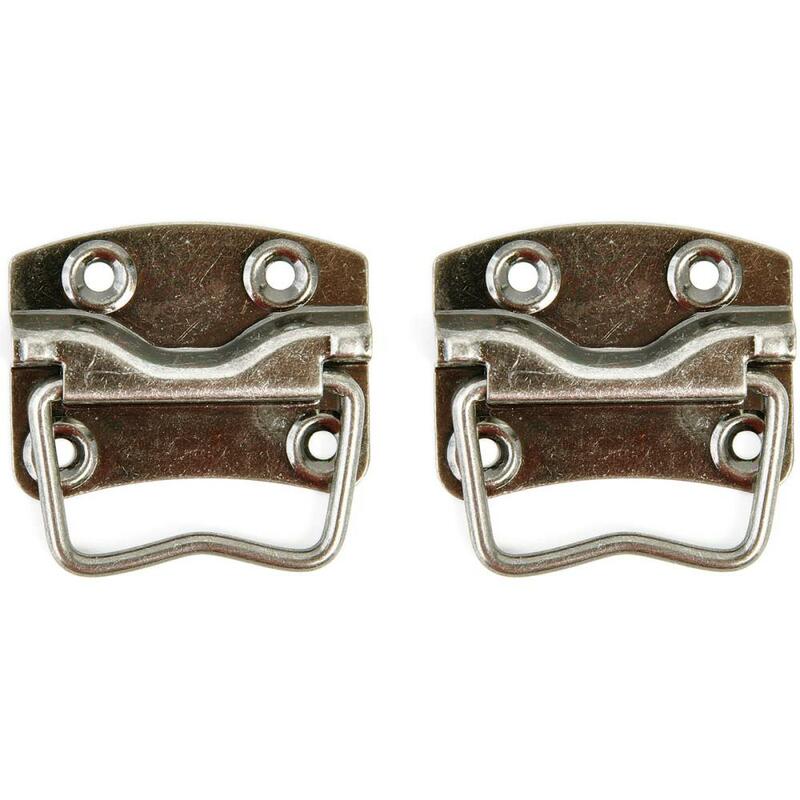 This package contains two 1.125x.875 inch case handles with eight fasteners. Color: Antique Silver.